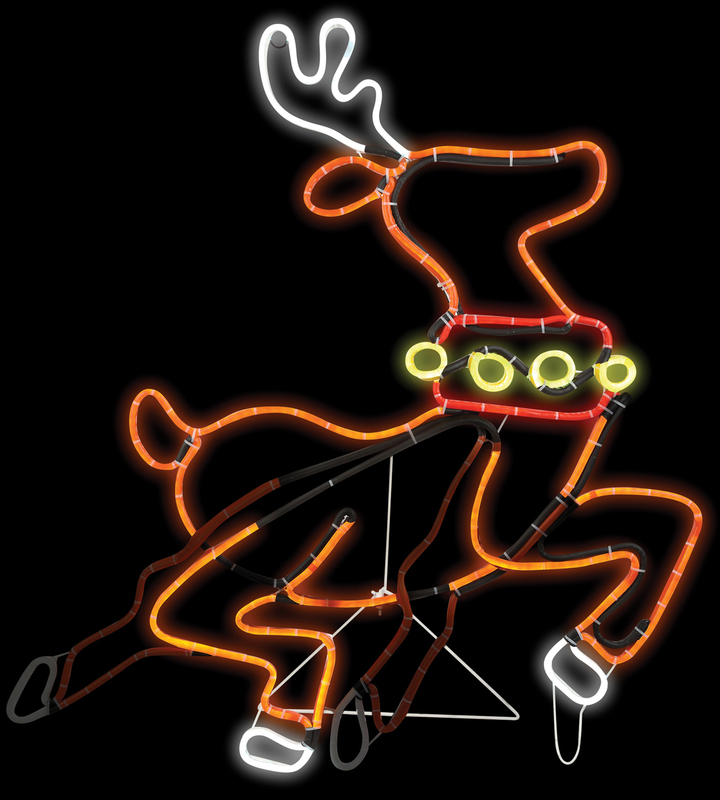 Make your Christmas decorations glow with this vibrant, animated reindeer that looks like a traditional glowing neon sign, but it is made from LED lights. This incredible decoration combines vintage style with modern efficiency. The sign is long lasting and plugs into a standard outlet. Measures 31" x 30" x 17".